How did Ray feel about the latest big death to rock his world? 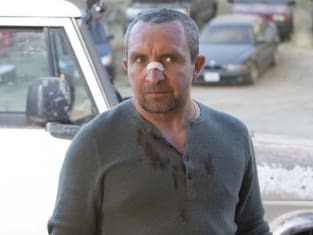 That was revealed on Ray Donovan Season 5 Episode 10 when Hollywood's number one fixer found himself thrust into another big job for Sam Winslow. He also had to find a way to play nice with Terry when Bunchy required their help after being shot. Meanwhile, Mickey learned the hard way that he should not have crossed Jay White, but was Daryll caught in the crossfire?